Farmers and ranchers use crop insurance to protect their crops from financial losses due to natural disasters or weather that may cause a loss in crops or revenue. At South Georgia Insurance Associates LLC, we protect farms and ranches of all types and sizes for a broad spectrum of insureds throughout Georgia. To meet this wide variety of insurance needs, we represent all sizes and types of insurance carriers for crop insurance. All of these coverages will help you manage your crop risks and have the knowledge that your investment will be covered from uncontrollable events or market fluctuations. You may also want to discuss with our agency separate farm insurance and business insurance coverages, depending on your specific needs. 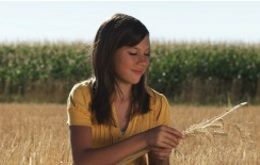 Because we represent virtually all major crop insurance carriers in Georgia, our policies offer many coverage options so you can balance how much risk you're willing to assume with the premium you're willing to pay. Multi-Peril Crop Insurance (MPCI): protection from a decrease in crop yield, loss of crops, or loss as result of price changes.